The soup dumpling, or xiaolong bao, is to Shanghai what the chicken wing is to Buffalo. A delicate dumpling skin is wrapped around a juicy pork filling (or, in luxe versions, crab), and like magic, the dumpling also contains a shot of tasty broth. But be warned: All those famous local places listed in guidebooks promising to delight you with an authentic recipe? They're underwhelming. The sad fact is that the very best xiaolong bao in Shanghai are to be found in a sterile mall built by a Hong Kong developer. It gets worse. These dumplings come courtesy of a Taiwanese restaurant chain called Din Tai Fung No matter. 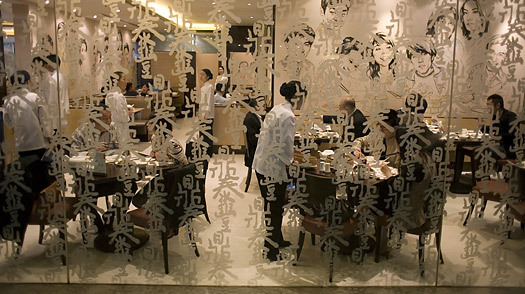 Tell your friends you partook of Shanghai's greatest culinary joy. You don't have to mention the whole Taiwanese-made-in-a-mall aspect of the tale.